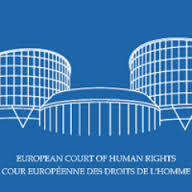 The European Court of Human Rights ‘not competent’ for Katyn massacre. Disappointment. This is Polish feeling for the ruling that the European Court of Human Rights is incompetent to judge whether Russia’s investigation into the 1940 Katyn killings of Polish war prisoners was insufficient. “Poles, including the Polish government, will not cease in their efforts to clarify all aspects of this heinous crime, while also striving for the full rehabilitation of the victims,” he insisted. The process of rehabilitation is normally applied to those unjustly sentenced in court, and it would clear the victims of any stain on their honour under Russian law. The court’s Grand Chamber had ruled that the adequacy of Russia‘s 1990-2004 investigation into the WWII massacres cannot be assessed, as the European Convention on Human Rights only came into force in Russia in 1998, eight years after Russia’s Katyn investigation began. Polish foreign ministry issued an official statement, reiterating Sikorski’s comments, adding that Poland will also continue to demand that Moscow hands over all outstanding case files from its Katyn investigation. The Katyn killings have been casting a shadow over relations between Poland and Russia for many years now, with Warsaw especially disappointed that Moscow was not willing to transfer documents concerning the massacre for further analysis. The European court agreed that Russia had failed in this regard by refusing to submit a key procedural decision from the investigation and offered no substantive reason for maintaining its classified status. From PAP – Radio Poland.